August is a busy month for family summer vacations, and vacations are a wonderful time for families to experience new adventures and build precious memories. Whether you are visiting family from out of state, or touring a foreign country, taking your child out of their natural surroundings can create sleep difficulties. 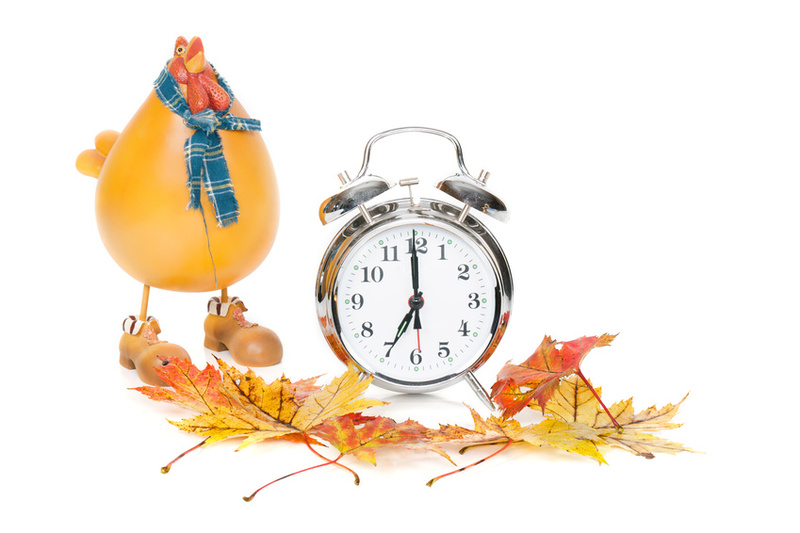 Switching over to a new time zone can be very difficult for both child and family. I always suggest to my parents to start changing the time gradually, while they are still at home. Progressively pushing sleep time slightly ahead or behind, will make the transition much less abrupt once you arrive. If you are only away for two or three days, I recommend sticking with your home time zone. Otherwise, by the time your child adjusts to the new time, you will be working to correct them back. Do your best to keep nap times on schedule so your child is not overtired, or too alert for bed. Use blinds to create a dark room at your child’s bedtime to help induce relaxation, and promote the production of melatonin, the sleep hormone. Do your best to stick to your nap time schedule when you are on vacation. If you are able, I suggest to my parents to try and fit travel in when it suits the child’s nap schedule. This will prevent the child from missing a nap and becoming overtired, making time changes even more difficult. Once at your destination, do your best to make your daily itinerary nap friendly. It can be tempting to try and get as much touring as possible in during the day, but an overtired child will not be much fun in a museum or restaurant. Some kids may have a difficult time settling down if they are not in their own bed. Give yourself and your child extra time for a bedtime soothing routine. This will help them relax and fall asleep much easier. Once your child reaches toddler age they may become aware that their bedtime does not mean everyone else is going to sleep. If you are vacationing with family who have older children, your child may resist bedtime for fear of missing out on fun to be had with their cousins. Help your child ease into sleep by taking your time with your bedtime routine. Read them a story and let them know that everyone else will be going to bed soon. And don’t be shy about asking people to keep the noise down, so as not to wake your child. This is also a perfect time to have your white noise machine or fan. This will help buffer the noise in and outside of the house. Your child’s sense of smell can also be a very important factor in their ability to feel comfortable at bedtime. If your child’s room or bed does not smell like home it could potentially create anxiety, causing it difficult to settle into sleep. Bring along a well-worn pair of pajamas, a stuffed animal, or even their bedding- anything that smells like home. This may help soothe feelings of home sickness that could create issues at bedtime. Sometimes a night light can help a child feel more comfortable in an unfamiliar room. Even if your child is no longer afraid of the dark, a dark, unknown room can be scary to most. Think about bringing a night light along with you to help navigate a strange room. I tell my parents not to be too concerned if their child experiences some change to their sleep routine during a vacation. It can sometimes be unavoidable to get the same quality of sleep that you get at home, on days you are traveling. However, try not to let your little one get too far off track. An overtired child can be cranky, and have more difficulty falling asleep at night. Was this information helpful? Contact me and let me know what issues your child is experiencing with their sleep this summer. How does hydration affect healthy sleep? In addition to the dangerous health risks listed above, dehydration can also have a negative effect on sleep. Dehydration can cause painful nocturnal leg cramps in the calf muscles, feet or thighs, that can make it difficult to fall asleep or stay asleep. Dehydration can also cause melatonin deficiency, which can lead to insomnia. Another important note to remember, is that if your child is getting an average of ten to twelve hours of sleep each night, (and isn’t bottle or breast-fed in the night,) they are also going that length of time without hydration. Children should begin each morning with a glass of water, to help off-set the dehydration that occurred during their sleep. Thirst is not always a reliable sign of the onset of dehydration, especially in young children. A good indicator is the color of urine. Keep a look out for dark yellow or amber colored urine. If your child’s urine is clear, or lightly colored, it means they are well hydrated. Other warning signs are dry skin, dry or itchy mouth, and decreased urine output. Make your child homemade popsicles made out of water or diluted fruit juices and mixed fruits. There are many options for popsicle molds such as these options from Tovolo that help make hydration a fun treat for your kids. Nature provides delicious, and kid pleasing fruits and vegetables, that not only provide the healthy benefits of vitamins and minerals, but will also keep your child hydrated. Some foods to include in your child’s diet are watermelon, grapefruit, cantaloupe, strawberries, oranges, celery, cucumber, tomatoes, colorful bell peppers and spinach ….did someone say PB and J, with a side of watermelon? Tip: Yogurt or coconut water is great to add to your smoothies. When you become dehydrated, your body loses electrolytes in addition to water. Yogurt is a great source of potassium and sodium, and can help replace lost electrolytes and re-energize your body. In addition to its natural sweet flavour, coconut water is full of vitamins, minerals, electrolytes, enzymes, and amino acids, and is one of nature’s most refreshing beverages. There are many options for reusable water bottles on the market these days. (Make sure to look for bottles that are BPA-free.) If you are having difficulty getting your child to drink water, look for a water bottle with a built in fruit infuser. Adding some of your child’s favourite fruit to their water can help make it more enticing. Summer can be a challenging time for healthy sleep. In addition to outdoor stimulation your child is experiencing, your child may be going through a growth spurt. Both of these factors can make settling down at night difficult. If your child is having trouble sleeping this summer, or is having a difficult time transitioning to a new bedtime routine, check out my sleep success plans. 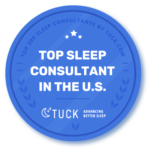 As a Certified Infant and Child Sleep Consultant and Sleep Expert, I have worked with many families to help them find a plan that works for their individual needs. 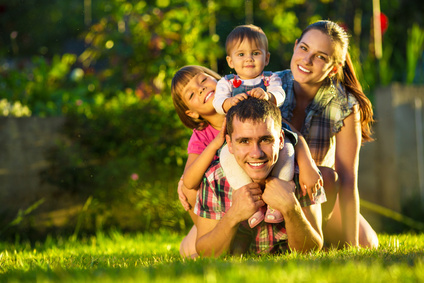 With summer vacation around the corner, parents of young children can safely assume that their family’s daily and nightly schedules are going to experience a bit of a shake-up. When kids are out of school, they are no longer following the regimented schedules to which they have become accustomed. This can become difficult for implementing a regular summer bedtime. According to an article published in Pediatrics, The Official Journal of The American Academy of Pediatrics, children who don’t have a fixed bedtime show more behavioral problems than those who go to bed at the same time every night. Authors Yvonne Kelly PhD, John Kelly BEng, and Amanda Sacker PhD looked at the links between disturbed sleep and behavioural problems in children between the ages of three and seven. The results of the study showed that children with varied sleep times may also experience behavioural problems including hyperactivity, conduct problems, problems interacting with peers and emotional difficulties if sleep continues to be varied. As a Certified Pediatric Sleep Specialist and the mom to four children, I know you can’t manage day after day with little or no sleep. 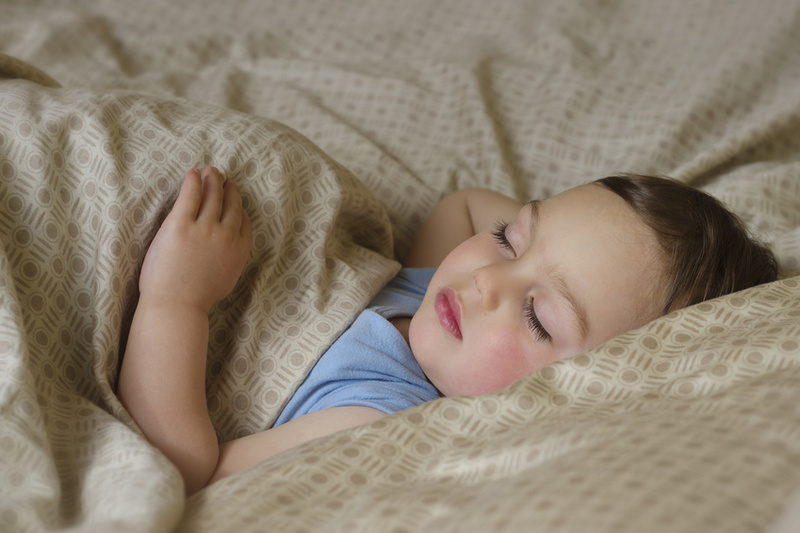 Sleep schedules in childhood are influenced by a variety of biological and social influences. Routines are essential in ensuring healthy sleep. Unfortunately these routines do not always come easy. Working together with parents, I set in place age appropriate naps, bedtime and sleep routines. 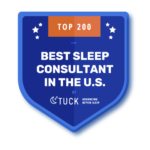 I develop a sleep plan that is in line with the parent’s goals and parenting philosophy, and provide daily support while the plan is implemented. So how can your family implement a regular bedtime during the summer? By making adjustments to meal times you can encourage an earlier bedtime. During the summer months it can be very easy for our days to get away from us and for meals to get pushed back to a later time. Do your best to keep your child’s meal schedules consistent and not have them eat a big meal right before bedtime or naptime. According to the National Sleep Foundation, proteins from the food we eat are the building blocks of tryptophan, which makes us sleepy. Therefore, the best bedtime snack is one that contains both a carbohydrate and protein. During the summer months the sun may still be up when your child goes to bed. There is also a good chance your neighbors are outside enjoying the weather when your child is trying to fall asleep. A white noise machine is best. There are some machines that play lullabies or nature sounds, but often these end up being a stimulant. A white noise machine is non-stimulating and very good at blocking noises from inside and out. When families are enjoying summer activities or traveling on vacation it can be difficult to schedule in naptimes. An overtired child can find it difficult to fall asleep at night. Do your best to ensure your child continues their regular naptime during the summer months. Every child is different, therefore each family experiences their own unique sleep worries. I am happy to work with parents one on one to help provide more specific advice for their specific case. You can review my Sleep Success Plans for additional information. The days are getting longer, the sun is getting stronger and flowers are in bloom. The beautiful signs of summer time are upon us. Unfortunately while summer is a wonderful time of year, it can create issues for proper sleeping schedules. In addition, the weeks leading up to summer bring with them a high pollen count that can cause irritation for those who suffer from allergies. Fortunately there are tips to help baby and parent ensure a good sleep during the warm summer months. Do your best to keep the house cool during the night. An ideal temperature for sleeping is between 68 and 72 degrees. Try not to crank the AC too high to avoid creating an unnatural coolness. Many children enjoy the comfort of being able to sleep underneath a blanket, so the idea is to make the house cool enough to allow them to do so comfortably. For those who do not have air conditioning, keep the blinds closed during the day to help keep the temperature of the room cool. Fans can be helpful to keep the air circulating. Face the fan away from the child’s face to avoid irritation. Pollen travels more during warm, windy and dry weather. This can cause allergy symptoms to heighten. The irritating and sometimes painful symptoms of allergies, such as runny nose, itchy eyes and congestion, can make sleeping even more difficult during the spring and summer months. The Weather Network provides an allergy tracking tool on their website that can help parents keep an eye out for days with high pollen counts http://www.weather.com/health/allergy . We love any opportunity to get the kids outdoors and being active. Without sounding too contradictory, try to limit the amount of sun exposure your little one gets around bedtime. Light is an important external factor that can affect sleep, and during the summer it can cause issues in two ways. The longer days we experience in the summer can affect our internal clock and sunlight can prohibit the production of melatonin, the sleep hormone. As the temperature climbs be sure to remove any heavy winter bedding from your little ones crib or bed. Light weight cotton and other breathable fabrics are better options. Children who still have difficulty wetting the bed may sleep with a waterproof barrier between their bottom sheet and mattress. Many of these barriers do not breathe and can cause your little one to get warm during the night. There are many breathable, hypoallergenic mattress protectors available on the market that can be a positive alternative. Since we all love summer and love to be up longer and enjoy the long days, keep in mind that your child still needs to be on a good sleep schedule. The occasional later bedtime here or there because of traveling or family and friends visiting, is ok. But don’t make it a habit. Children can become overtired very quickly and this will lead to problems going to bed at night, waking in the night and waking too early in the morning. If your child still naps, these too can be affected. If you would like information on how much sleep your child should be getting a day, as well as some important sleep tips, please click on this link http://babesinsleepland.com/sleep-science-101-registration/, and then follow the prompts. Angela Walsh is a Family Sleep Institute, Certified Infant and Child Sleep Consultant and the founder of Babes in Sleepland. 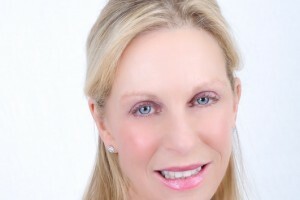 She helps sleep deprived babies, children and families, get back on track and get the sleep To learn more about Angela and how she can help you, visit her website they need and desire. : babesinsleepland.com. Also get sleep tips, the latest research on baby and child products, and be part of her weekly Q and A at her Facebook page: Babes in Sleepland.